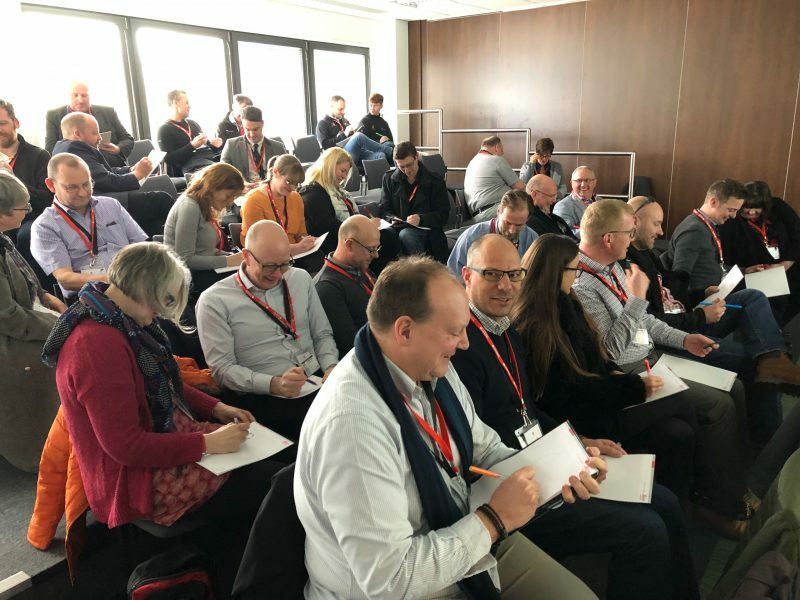 The 13th consecutive annual TSA Health & Safety Seminar was held on 13th March, once again generously hosted by Leica Geosystems at their Head Office in Milton Keynes. In a change to the usual format of the day, Martin Mulholland of MD Safety presented the morning session with the afternoon being run by Jenny Evans of Rainbows End Coaching. TSA Members enjoy this free event every year, with legislative updates and news followed by a more in-depth focus on a particular subject. Martin focused on the usual Health & Safety Legislation updates, which included HSE statistics from 2018. He then went on to cover how to manage staff safely, when confronted by violent behaviour or the threat of it – especially in relation to survey equipment theft. After the opportunity to do some networking over lunch, Jenny Evans kicked off a truly interactive workshop on Emotional Wellbeing. Attendees were encouraged to participate in a series of enjoyable, but ultimately thought-provoking exercises to understand how we see ourselves, how we can cope with stress more effectively and how a positive mindset can truly change our lives.